I have fallen in love……..with a gorgeous farm shop, florist and tea rooms by the name of Davenports. The occasion was my little sisters 31st birthday and she couldn’t have picked a more perfect place. Situated within the Weaver Regional Park, on Bridge Farm near Northwich, Davenports, a long-established florist, opened it’s Farm shop in 2006, a year later the now multi-award winning farm shop welcomed its first customers to the newly established tea rooms. Arriving at Bridge Farm felt a little bit like being on holiday as a child, the rustic building is surrounded by farmers fields housing chickens, donkeys, ostriches and even a rather unexpected herd of llamas! Sadly traditional British summertime weather of gale force winds and torrential downpours were threatening so we didn’t hang about and thought it wise to head straight inside. The smell of freshly baked scones hits you immediately, it is seriously delicious, we were all soon salivating when we spotted said scones nestled amongst a feast of sponge based delights, each looked as tempting as the next. 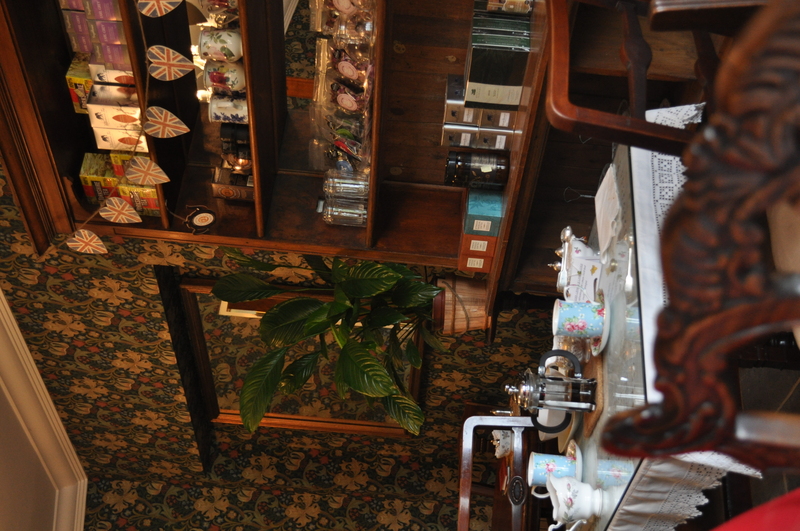 The interior is styled on a quaint Old English tea room with beautiful quirky touches representing local author Lewis Carroll’s world-famous tales of ‘Alice in Wonderland’. 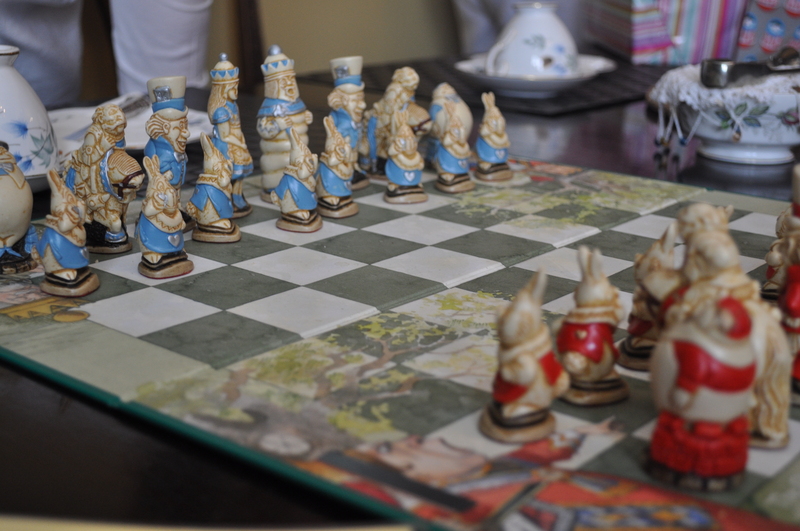 Pretty china tea cups and antique sugar bowls awaited us on the table reserved for our party as well as a beautiful antique Alice in Wonderland chessboard, along with an ultra cute miniature table croquet set, both totally charming! It’s clear a lot of care and attention has gone into making a visit to Davenports feel as special as it does. We had opted for the classic afternoon tea which Davenports’ request you book 24 hours in advance, we were served by Belinda, one of the owners, who began by talking us through the various teas which are available, asking how strong we liked our brew then recommending appropriate blends. I personally like a fairly strong brew so opted for the Lancaster Blend, a competitor to Yorkshire tea, and described as ‘a superb blend of African, Indian and Ceylon teas, the perfect traditional afternoon cup’ another choice amongst our group was, ‘Kwazulu’ a South African favourite of tea room connoisseur Margaret Thornby, on that recommendation how could we resist! We were then offered a choice of home-made scones, made to Belinda’s grandmothers’ recipe (c.1930) using organic spelt flour (which is an old variety of wheat), local organic free range eggs, golden caster sugar and real butter, delicious! The varieties on offer today were, rose petal, lavender or good old raisin. I’m not wildly adventurous when it comes to varieties of scones so opted for a traditional raisin and was rather put to shame by my 15-year-old niece who went for the rose petal variety….note to self, must get more daring! Our tea cups were taken away and warmed, again a really lovely touch. 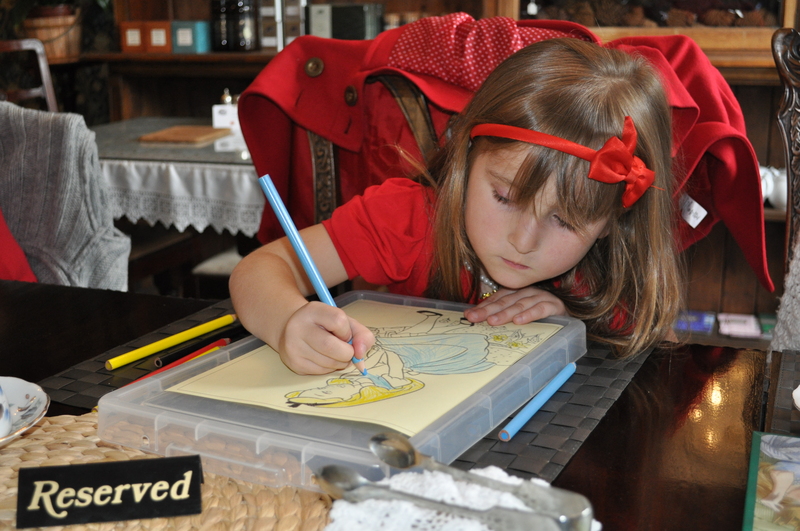 My five-year old niece was given special attention from Belinda and opted for a glass of traditional lemonade and a picture of Alice to colour in whilst she awaited the arrival of the main event! With the return of our warmed china and the arrival of pots of fresh brewed tea it was with much excitement we anticipated the bone china tiers we knew were merely a crust away! Our chatter was soon silenced by their arrival, they looked so so pretty, decorated with a garnish of fresh salad leaves, strawberries, tomatoes and even fresh flowers from the on site nursery. Portions were plentiful with three stands served between our group of seven. Belinda then talked through the different sandwich fillings, offering information on where the products were sourced and also included a selection of cheese and ham especially for my young niece. Other fillings included free range egg, cream cheese and cucumber, smoked salmon and a very yummy cheddar and chutney. The bread was super fresh with a nice mixture of wholemeal and white, it was great to hear we could opt to buy many of the products we were sampling next door in the farm shop. Next Belinda talked us through the cakes, we heard how Katja, the lady who makes the cupcakes went to visit her brother in New York and ended up staying to learn her trade in the world famous Cupcake Cafe before thankfully coming back to the UK and providing Davenports with some of the prettiest cakes I’ve ever seen, (also available in the farm shop). As well as the cupcakes we were treated to squidgy chocolate fudge brownies, cream filled meringues, and mini chocolate eclairs. We were provided with clotted cream, butter and two varieties of home-made jam, blackcurrant and plum, to enjoy with our scones, both locally produced and full of flavour. The scones were exceptional, served warm fresh from the oven, if I’d have died right there and then it would have been as one happy lady! One of our party declared them to be ‘Better than at the Ritz!’ High and well deserved praise indeed. 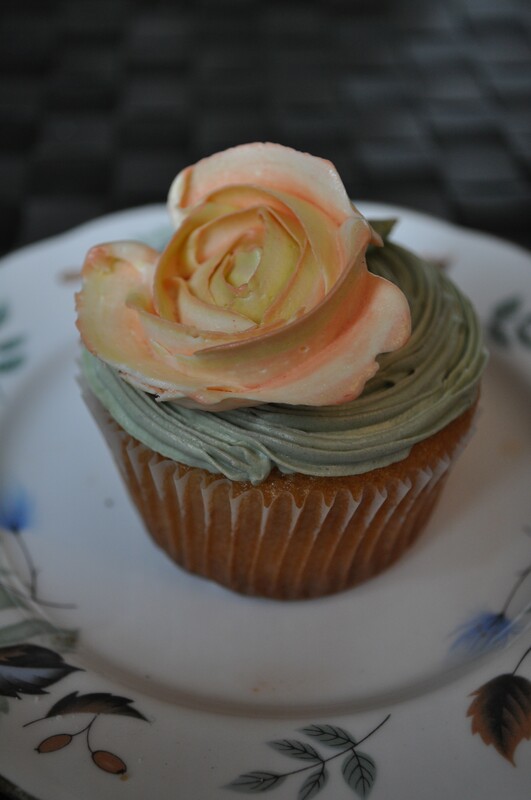 So pretty and entirely edible! Apologies if anyone thinks I’m gushing just a little too much about this place but honestly it’s one of the loveliest places I’ve ever been to for afternoon tea. You can tell from the minute you walk in just how much love, care and attention has gone into making Davenports such a special place. My older sister has decided to book the ‘Mad Hatters Tea Party’ themed afternoon tea for her birthday in July, I literally can not wait! Ambiance – 10 out of 10 – A very pretty, welcoming room, gorgeous touches here and there inspired by Alice in Wonderland, such as miniature ‘drink me’ bottles, a fab collection of tea pots and beautiful packs of exotic looking teas from around the world. Sandwiches – 10 out of 10 – A great selection, ranging from vibrant coloured free range egg to cheddar and tangy chutney, super fresh bread, crusts perfectly removed and approximately four per person. Scones – 10 out of 10 – One word – heavenly! Moist with the perfect amount of crumble, served warm and baked to perfection, I think the Government should bring out a law that all citizens are provided with at least one of these scones a week, the UK would overnight become a much happier place! Cakes – 9 out of 10 – A tantalising selection, cup cakes, moist chocolate brownies, fresh cream meringues and yummy chocolate eclairs. My only slight criticism (hence the 9 and not a 10) is that I would personally have enjoyed a fruit loaf or something slightly less sweet included in the cake selection as everything (although delicious) was rather on the sweet side, this of course is personal preference and the empty plates clearly indicated that not everyone would agree with this! Service – 10 out of 10 – the information provided for individual items on the menu was fabulous, extra brownie points for the special attention given to my rather shy niece who soon forgot her shyness once tucking into a chocolate brownie! Value for money – 10 out of 10 – Undoubtably! 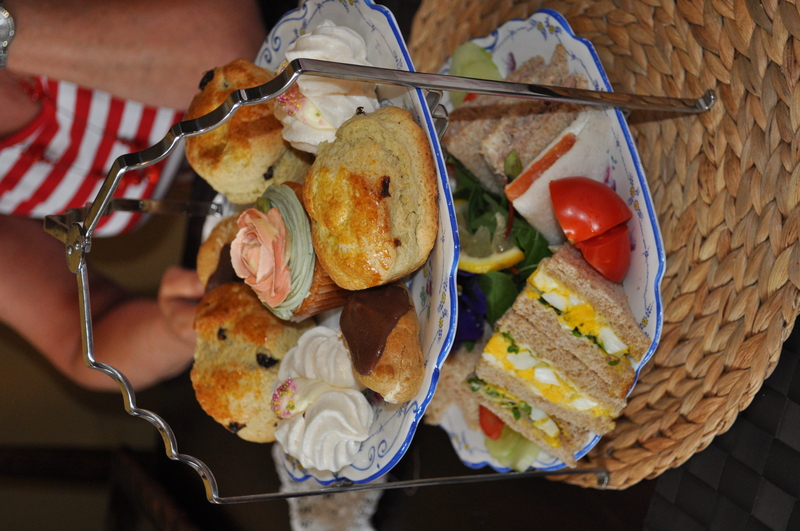 For anyone who wants to enjoy an afternoon tea in wonderful surroundings but doesn’t want to pay the quite often over inflated prices of top hotels then Davenports is an absolute must, you’ll feel spoilt, special and will be desperate to go back again! Final Score – A super dooper – 59 out of 60 – A gorgeous place to visit, charming, fun and delicious! The traditional afternoon tea we opted for is a snip at £8.95 per person, with the option of a luxury tea priced at £11.95 per person which includes extra cake or sandwiches and more blends of tea, all in all great value and a wonderful experience. This entry was posted in Afternoon Tea and tagged afternoon tea, Alice In Wonderland, cake, cheshire, Davenports, days out, Florist, scones. Bookmark the permalink. If you are ever heading in our direction PLEASE let me know so i can come along and “help” you with this important research. a well written piece that almost took me there with you, only problem is that i can taste them through the blog. Fabulous again queen. Please take me too!! !